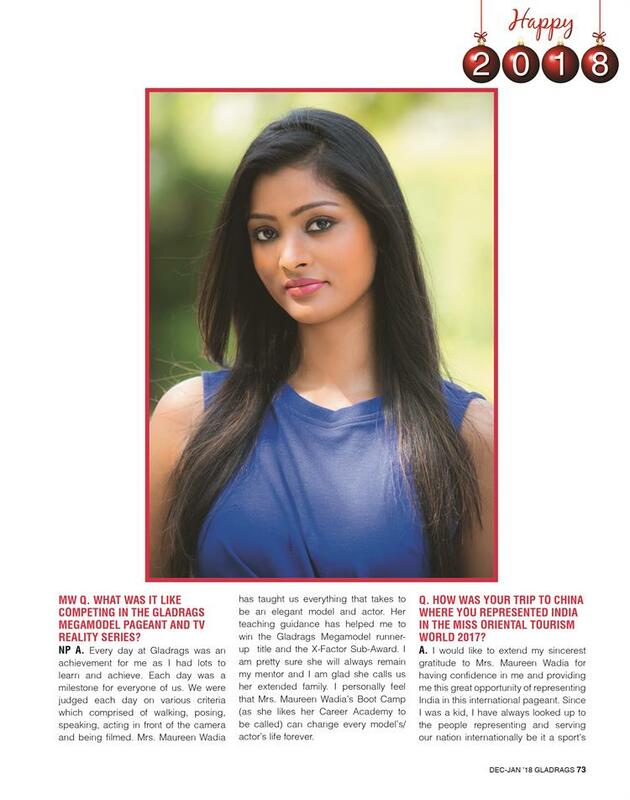 Tall and exotic Nikita Pawar stood 2nd Runner-up in the Gladrags Megamodel Pageant and TV Reality Series held recently. She was then sent by Gladrags to Mianyang City, Sichuan, China to compete in the Miss Oriental Tourism World. Nikita Pawar in conversation with Maureen Wadia.